Kids these days won&apos;t ever know a world where hip-hop doesn&apos;t exist. Meanwhile, we keep wondering if our grandmothers even know who any of our favorite rappers are. We thought everyone knew Jay-Z (if only as "Beyonce&apos;s husband"), but were proven wrong last year when Jigga took the subway, nearly started a riot, and an elderly woman had the gall to ask him, "Are you famous?" 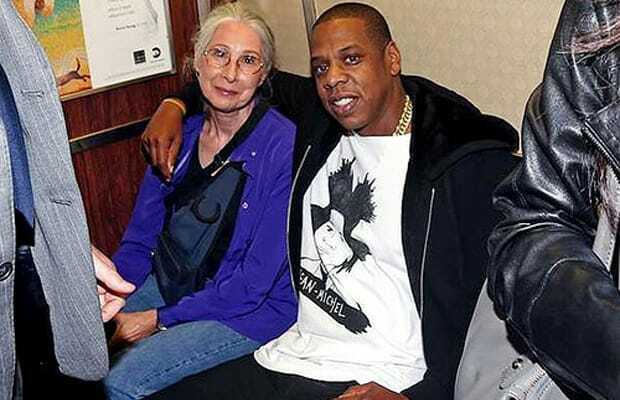 While Hov&apos;s homegirl Ellen Grossman certainly isn&apos;t alone in her obliviousness, there are also more older folks into hip-hop than you&apos;d imagine. We did some digging and found several photos of today&apos;s top rappers either with their grandmothers or someone else&apos;s. Word to the Rapping Granny!